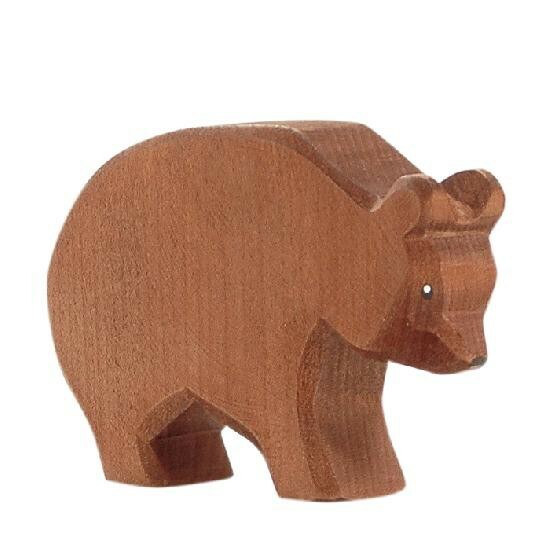 Ostheimer Wooden Toys - Bear Height 8.5 cm CARE INSTRUCTIONS: For care simply use soapy water with a damp cloth for cleaning. Dry immediately. Please do not submerge in water and do NOT use disinfectant or hot water. Hand Crafting of each Ostheimer Piece: From the draft to the finished product Ostheimer toys pass through many hands while they are designed, sawed out, sanded, rubbed-off, painted, oiled, and shipped out: and each step in this long process of careful handcrafting is inspired by wish to give children toys of truly high quality to play with. 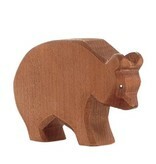 This way, each Ostheimer wooden figures becomes a valuable individual piece of work.